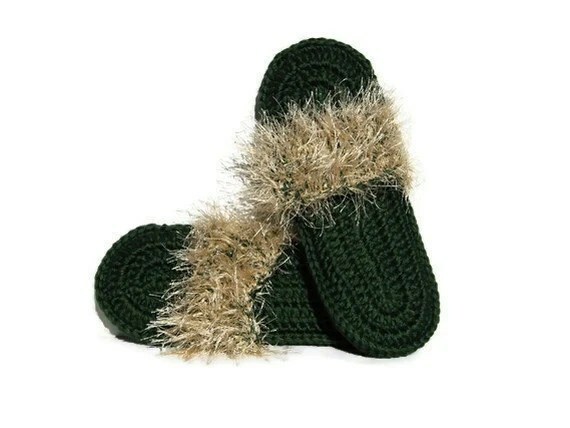 What better way to start bundling up for fall and winter than by thinking of some nice, warm feet! As you know, I’ve been eagerly anticipating the weather change, as I am much more of an autumn than a summer type of girl, and Jen’s Tangled Threads is the perfect shop to get me in the spirit of the changing season. Jen is a one-woman operation–though her son is her official color coordinator–working in her spare time (which, as all mothers know, is a farce of an expression) and taking moments between dance competitions and caring for her son to crochet her invention: flip-furs. Flip-furs actually originated from attending dance competitions. She noticed many of the dancers did not have a simple alternative to the dance shoes they wore onstage, and would stay in those uncomfortable shoes or just go barefoot (even in the bathrooms, which I’d agree is pretty yucky) when they weren’t dancing. 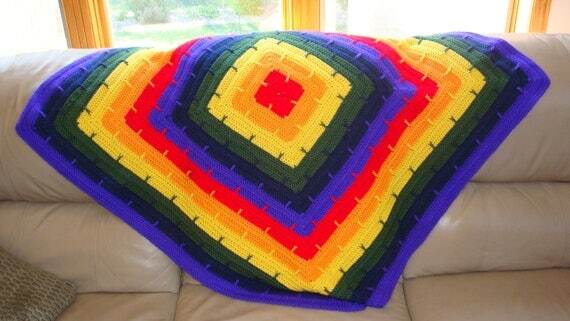 Right now, there’s a beautiful rainbow blanket in her shop, customizable for whatever colors you want! Look for some more baby blankets, as well as washcloths and doilies, to be peeking their way in amongst the flip-furs in the upcoming months, as having more ready-to-ship items in her shop is one of her long-term shop goals. (That and marrying a rich man, so she can spend more time crocheting, of course!) The first of her new items is already up: a crochet shawl wrap perfect for those cool fall nights. Again, it’s made with her favorite Caron Simply Soft yarn. In addition to selling on Etsy, she also sells at her son’s dance studio and has begun branching out at craft fairs. It’s a rough market to be in, and I give her kudos for taking the time to try craft fairs. I’ve only done one, myself. Finally, I asked her to weigh in on my “pricing for profit” debate (click here if you haven’t read about it yet). Like many other crocheters, she’s been struggling with the balance between fair wages for her and inexpensive prices for her customers. “Somehow I can’t make myself raise my prices beyond what they are now….my biggest customer base is my dance moms, and they spend so much [already] on dance lessons.” It’s a rough decision to make, but I applaud her for addressing the issue and tackling it; it’s something each crocheter has to decide for herself. Want to be featured yourself? Click on over here for the submission form. On The Sun and the Turtle. With her partner, John, Jennifer keeps The Sun and the Turtle full of crocheted and knitted pieces. When I asked her which she prefers, she was split: “Tricky question :). 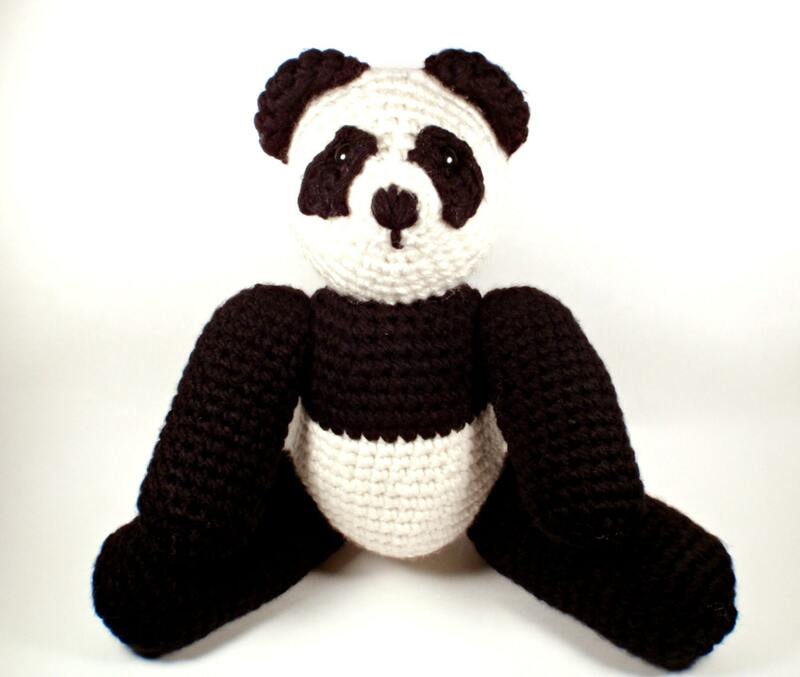 I like to crochet the amigurumis. It’s a great feeling to see them form in my hands. Almost like magic, they form with my hook as the wand. “At the same time, I make winter hats and mittens for the long winters in Finland, and I can knit for hours listening to audiobooks or talking with my partner John while we work with The Sun and the Turtle. 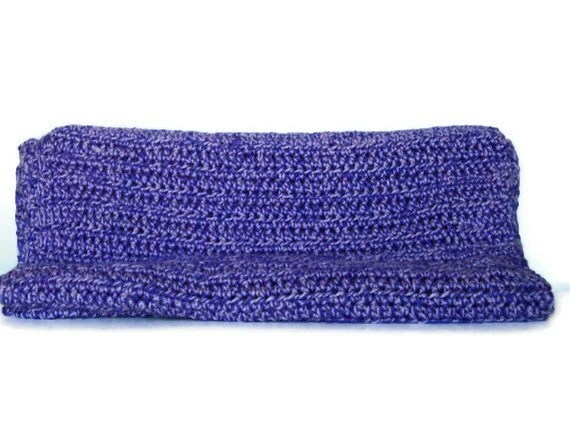 Once you get the hang of crocheting in the round, it’s simple! Try out this strawberry pattern as a good starter project. 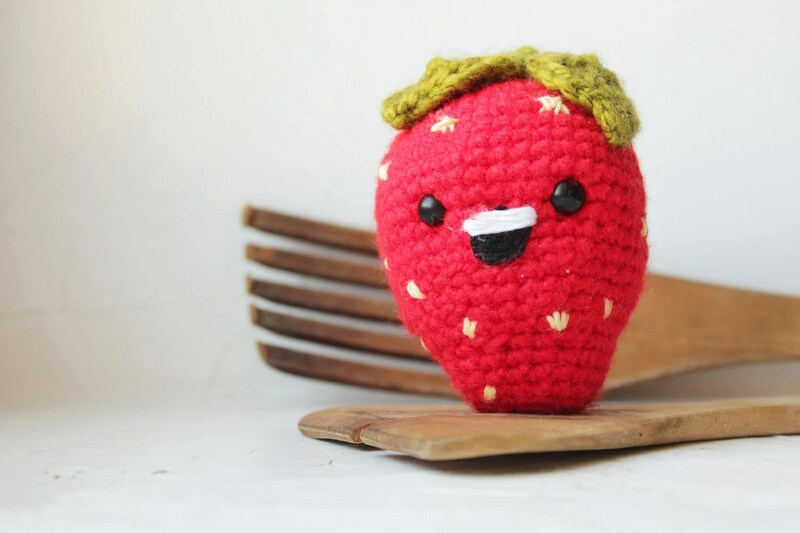 In addition to the adorable strawberry, The Sun and the Turtle recently launched a blog, where there are some awesome free amigurumi patterns. You can check it out here. 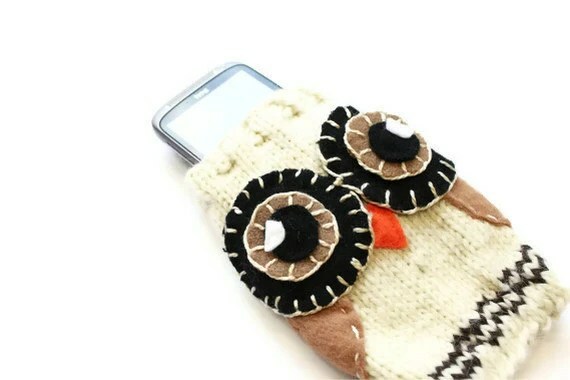 Jennifer’s favorite item in her shop is her Knitted Owl iPhone pouch. It’s a lofty responsibility, but one that Jenn and John treat with pride. All the more admirable, because Jenn runs her shop while also attending school. She doesn’t see it as an added chore, though, but a “fun” responsibility. “I just make our products and post them once they are ready and well done. Then I continue with the gazillion things I have to do. It is a matter of organizing your time and not get too stressed about everything.” Words of wisdom I should take into my own heart as I go back for my master’s this September! Finally, I brought up “The Great Etsy Christmas.” Etsy sellers have already begun preparing for this annual event, stocking their shop and buying extra supplies to ship out the upcoming high demand of items. In The Sun and the Turtle, expect to see some woolen winter hats rolling out in early October. My personal favorite is the one with the mermaid! So, if you’re enjoying these unique creations as much as I am, come and check out The Sun and Turtle. The best part? Even though they’re in Finland, the internet brings them right to you! 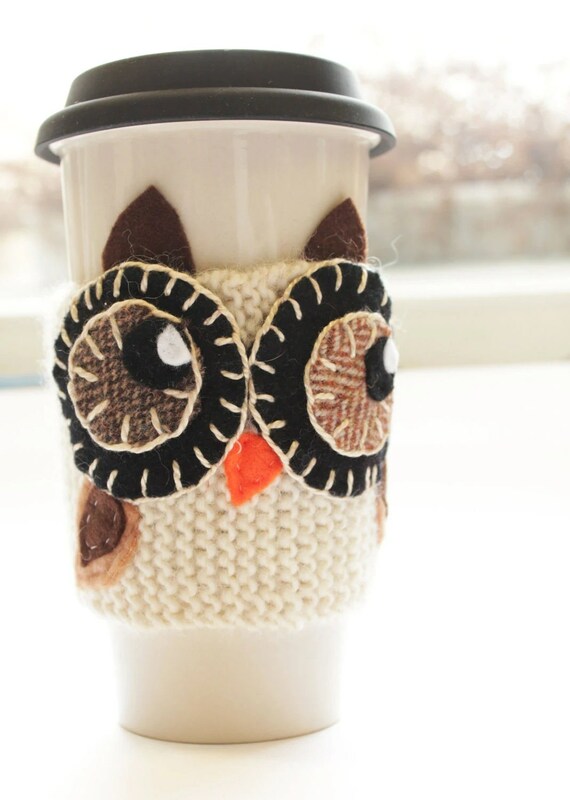 “Etsy is a global community where people appreciate all the wonderful creations despite nationality or borders. It is awesome when someone who believes in what you do can have it via post, and are willing to wait a few days more for the product to arrive.” I completely agree! As always, if you’re an Etsy shop with personality, attitude, and a passion for creating, feel free to submit to be featured on amandajocrafts!